It no more a wonder if you encounter a hidden serene destination in Kerala. Such is the beauty of this God's Own Country, that each and every district is home to numerous hidden beauties. One such place sprawling in the expanse of the Western Ghats is the small hamlet of Malayattoor. As it is unknown to travellers and tourists, it remains uncrowded throughout the year, thereby, making it an ideal destination to savour the loveliness of nature. If you always long for such places, then this natural marvel is your calling this season. Read on to know everything in detail about this untold wonder and how to reach it. As Malayattoor maintains a mild temperature and moderate climate, it is a year-round destination. However, if you are looking forward to avoiding its summer sun, then the best time to visit is from September until the end of February. You can also visit it during the monsoon season, i.e., in the months of July and August. During this period, the lush green beauty of its surroundings is at its peak. 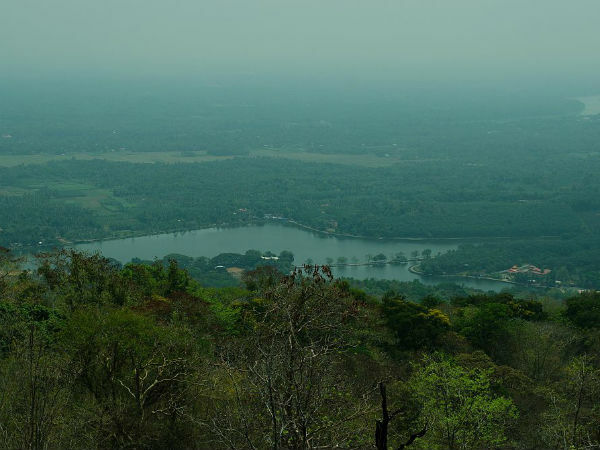 Malayattoor is located in the Ernakulam district of Kerala and is blessed with deep forests, towering hills, echoing valleys, relaxing streams and rich wildlife. Doesn't it seem like a paradise? After all, it is located in God's Own Country. It is also famous as a pilgrimage site amongst locals as it is believed to be the place which was visited by Saint Thomas numerous centuries ago. Therefore, you can also find churches and other religious sites here. The most prominent amongst all the pilgrimage site here is St. Thomas Syro-Malabar Catholic Church which is visited by thousands of Christians and other tourists every year. Wouldn't you want to get yourself to this peaceful town where you can savour nature as well as divinity? Malayattoor is a destination for those who are looking forward to spending their weekends or vacations away from the disturbance of cities. Being a small hamlet, it provides you with a serene and tranquil aura, which will certainly help you relax your mind, body and soul. Therefore, it wouldn't be wrong to call Malayattoor, the spa of Ernakulam. Due to its location in the close proximity of Kochi, Athirapally Falls and Vazhachal Falls, it is an ideal spot to retire to during your holidays. You can also explore the beauty of its teak plantations. How about planning a trip to this unknown paradise now and exploring its beauty closely? By Air: The nearest airport from Malayattoor is located in Kochi at a distance of about 15 km and hence, you can easily access it by air. Once you have reached the airport, you can hire a direct cab to Malayattoor. By Rail: The best way to reach Malayattoor by rail is to catch a train to Aluva Junction. From the station, you can easily get direct cabs to Malayattoor, which is located at a distance of about 26 km. By Road: Malayattoor has a good system of roads and hence, you can easily approach it by road. As there are no direct buses to Malayattoor from other major cities and towns, the best way is to drive down on your own.